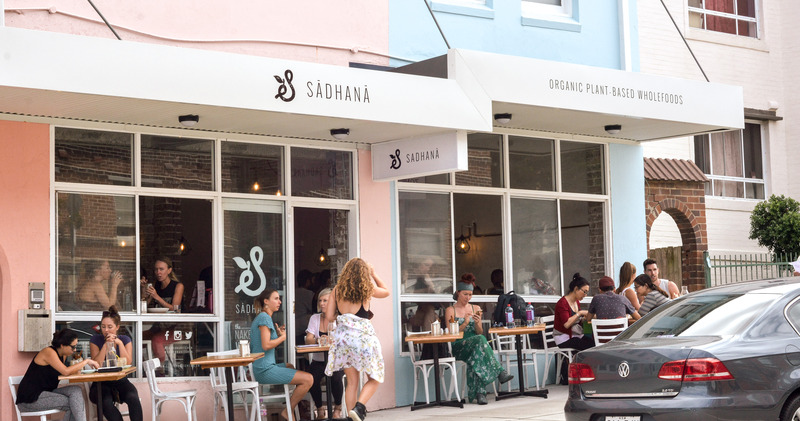 Sadhana Kitchen, Sydney’s first organic, vegan, raw, wholefoods café has officially opened their second store location on Warners Avenue, the doorstep of Sydney’s iconic Bondi Beach. 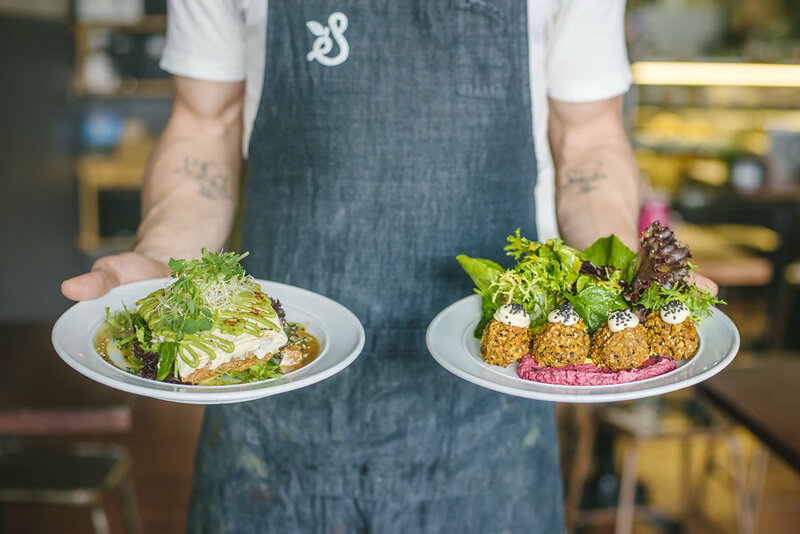 The raw, vegan and organic foods culinary trend is quickly gaining momentum across Sydney, with the opening of Sadhana Kitchen Bondi cementing its place in mainstream dining. The new café is set to become a population fixture among locals and visitors alike. “We always knew there was a demand for our food here in the Eastern Suburbs,” says Sadhana Kitchen Founder and Director, Maz Valcorza. “We had a lot of customers from the Bondi area travelling to our flagship store in Enmore and telling us how much of a hassle it was. Now we can service the inner west and the east as well.” said Valcorza. It has taken two years for Valcorza to find the ideal beachside location, which has been found at the site once occupied by Nina Ploy’s Thai restaurant. They have kept the space’s industrial feel, showcasing the exposed brick and harnessing the chic appeal of bare copper piping, while incorporating bursts of colour from plants and deep ocean blue tiling. 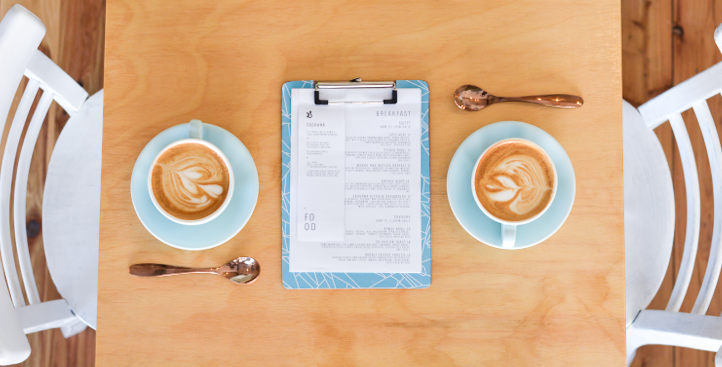 The Sadhana Kitchen, Bondi store will provide a range of in-house and takeaway dining options including their signature raw, vegan high-tea and 7 course, raw, vegan degustation. The café will also offer a daily menu of breakfast, lunch, sweets, juice, smoothie and cocowhip x SK dessert items. The menu is packed full of Sadhana favorite’s including the pitaya bowl of dragon fruit blended with frozen strawberries and banana, served with fresh fruit and Sadhana’s original blend granola (featuring buckwheat, goji berries, cacao nibs and shredded coconut); and the “Cheezeburger” made with a nut-free vegan patty (also known as “Neatloaf”) and topped with homemade vegan cheddar cheeze. “I want to make vegan food more accessible. Sadhana Kitchen exists to make organic, plant-based wholefoods and raw food accessible to everyone, no matter your background. By making these foods and services available, I hope that people will cultivate a mindful connection to what they are putting into their bodies. I want them to have the knowledge, and experience to make kinder, healthier, and more ethical choices for themselves, and our world.” said Valcorza.